THE HAGUE--It looks like the controversial initiative law proposal of Member of the Second Chamber of the Dutch Parliament André Bosman of the liberal democratic VVD party to regulate the residency of new migrants from Aruba, Curaçao and St. Maarten in the Netherlands will not make it. The Labour Party PvdA has fundamental objections to what has been commonly called the Bosman law and will not vote in favour next Tuesday. With only the backing of the VVD and the Party for Freedom PVV, the law proposal fails to muster enough support. This will bring an end to the law proposal which has been the source of much chagrin in the Dutch Caribbean in the past four years. Under the Bosman law, all persons born in the three Dutch Caribbean countries who want to move to the Netherlands have to show that they either come here to study or to work and that they have means to sustain themselves. Persons with a criminal record will not receive a residency permit. 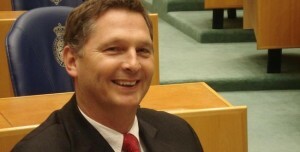 With his law proposal, Bosman wants to stop persons with insufficient education and those who engage in criminal activities under the motto “Underprivileged on the islands is without prospect in the Netherlands.” Bosman also propagated the idea to have an admittance law that is more or less similar to the Admittance and Expulsion Law LTU that Aruba, Curaçao and St. Maarten have to regulate the influx of foreigners, including residents of the Netherlands. This under the principle of reciprocity. All eyes were on the PvdA during the handling on Wednesday, as the fate of this law proposal was in their hands. The PvdA already voiced its concerns during the first handling of the law proposal some 2½ years ago, concerns that were insufficiently addressed in the second amendment (“nota van wijziging”) that Bosman presented in May 2016. Van Laar used his daughter’s reaction to a photo of her with her best friend who has a dark complexion as an example of how the Second Chamber should act. “When I showed her the photo, she exclaimed ‘We are the same. Look, we both have on a pink coat!’” He said the law proposal had also created unnecessary tension in the already fragile relations in the Kingdom. MP Madeleine van Toorenburg of the Christian Democratic Party CDA also was highly critical. She said the CDA most certainly acknowledged that high-risk youngsters of Dutch Caribbean descent were causing trouble in the Netherlands, but in her opinion the Bosman law was not the right answer to this problem, also because it was legally untenable and would not hold up in a Court of Justice. Van Toorenburg suggested implementing a Kingdom Law to regulate the movement of persons throughout the Kingdom, the so-called “Rijkswet Personenverkeer,” an old law proposal that was dropped in the process of constitutional change within the Kingdom. “The Kingdom Law is legally tenable. Bosman’s law proposal isn’t,” she said. MP Sjoerd Sjoerdsma of the Democratic Party D66 said his party had legal and principle objections to the law proposal, which he referred to the trashcan. The Council of State, the legal expert Meijers committee and the Human Rights Council are all highly critical, he pointed out. The law proposal also infringed on several international treaties and went against European regulations of free movement of persons within the European Union (EU). “This law proposal creates second-class citizens within the Kingdom. It creates class A and B citizens. The only thing that this law does is stigmatising and that is something that we as Parliament should stay far away from,” said Sjoerdsma. Sharon Gesthuizen of the Socialist Party (SP) concurred: “Yes, we have to deal with criminals, but the VVD tries to put this group, the people from the Dutch Caribbean, in a certain corner. We don’t accept that these people become second-class citizens.” She remarked that the majority of the Dutch Caribbean community was contributing in a valuable way to the Dutch society. Bosman emphasised that those persons with sufficient education, a job and no criminal record would have no problem. “The majority are doing great, and they most certainly remain welcome. This law will not affect them. But we had to do something about that smaller, criminal group that keeps getting refreshed with new ones from the islands. This group is creating major problems in some cities,” he said. Bosman said he was in favour of regulating the movement of persons through a Kingdom Law. In fact, if the Kingdom Law materialised, his law would be annulled. “The problem is that the islands have not cooperated at all to arrive at this Kingdom Law,” he said, adding that his law would serve as material to negotiate a future Kingdom Law to regulate the movement of persons. “We need to have this conversation in the Kingdom,” he said. Linda Voortman of the green left party GroenLinks considered it wrong to use the LTU regulations of the islands as a reason. “The LTUs there do not justify an admittance law here,” she said, referring to the small-scale economies and absorption capacity of the islands and the need to take proportionality into account. Sietse Fritsma of the PVV said his party would vote in favour of this law proposal next Tuesday. “We are for residency requirements,” he said. Fritsma questioned that the PvdA would vote against while the governing accord of September 30, 2012, signed by the PvdA and the VVD, stated that the movement of persons within the Kingdom would be regulated. “It is very strange that the PvdA is thwarting this piece of legislation,” he said. “Changes in the Kingdom are not achieved in one day. My initiative is a stone in the river that will eventually change the course of the river,” said Bosman, who worked on his law proposal for four years. He stressed that his door was always open and would remain open to find a solution together with the islands.